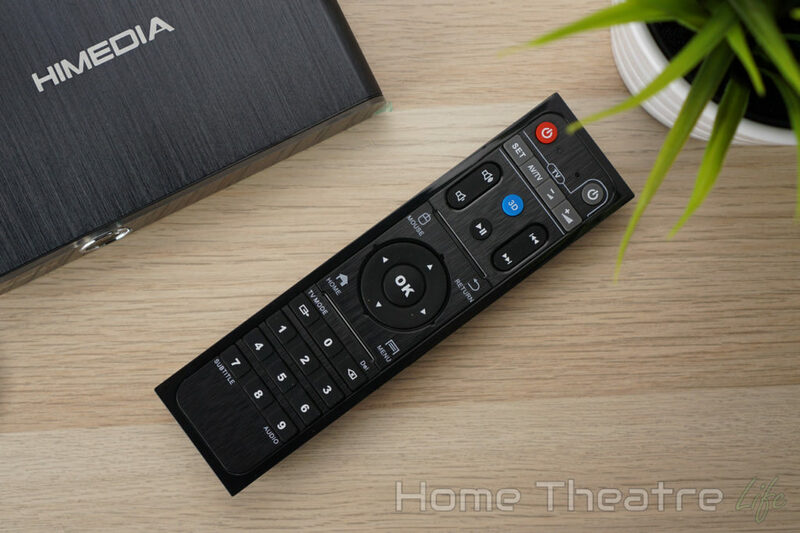 HiMedia have recently released the HiMedia Q30, a compact Android TV box featuring a new chipset targeting those who want a better media experience. I’ve tested out this Android TV box to see how it performs in media playback, movie streaming and more. 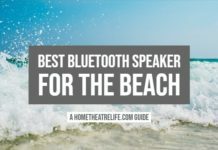 Is the HiMedia Q30 worth it? Keep reading my HiMedia Q30 review to find out. What is the HiMedia Q30? The HiMedia Q30 is the latest Android TV box from the company powered by the quadcore Hisilicon Hi3798M V200 and running Android 7.0. Being an Android TV box, you can watch videos using Kodi, stream movies from Netflix, play your favorite Android games and more. HiMedia have focused on media playback, ensuring features such as automatic framerate switching and HD audio passthrough works (with some caveats as we’ll cover later on). 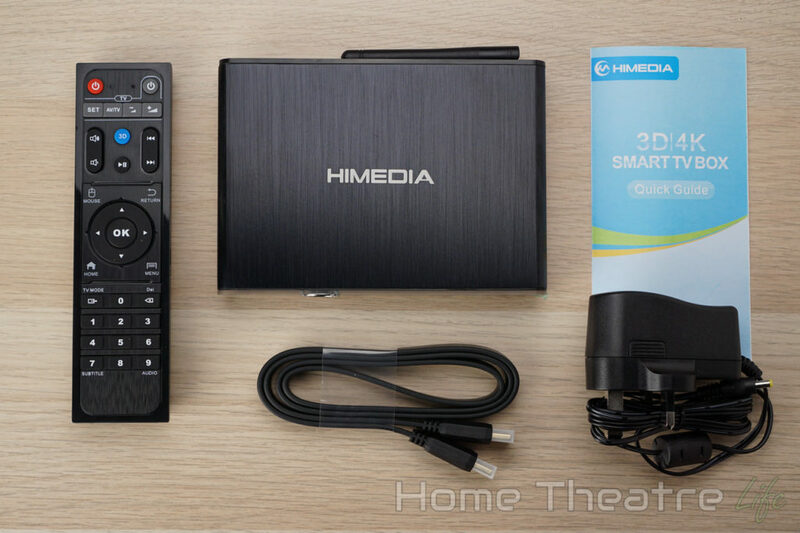 The HiMedia Q30 is available from GeekBuying. 1 What is the HiMedia Q30? 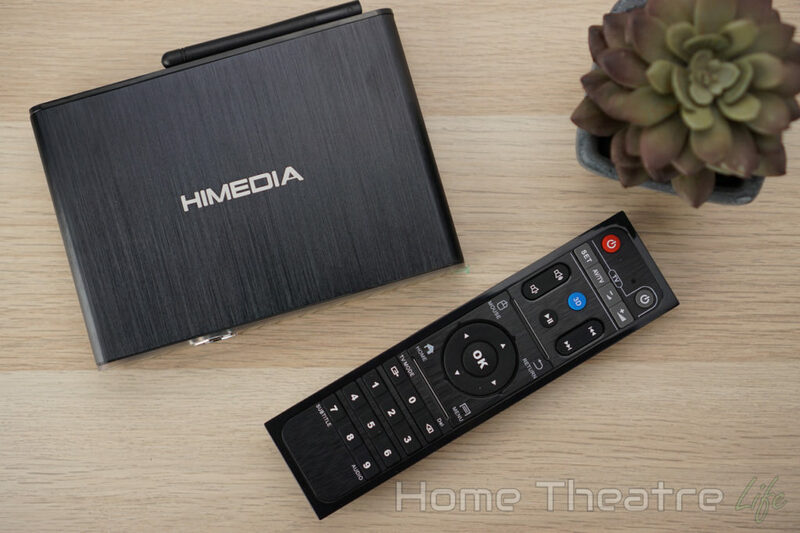 10 Should You Buy the HiMedia Q30? The HiMedia Q30 is an attractive Android TV box, featuring a black metal case with a brushed metal finish that looks great. 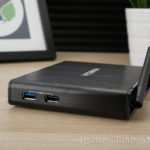 There’s a power button on the front of the unit, with a USB 2.0 port and SD card slot on one side and another 2 USB 2.0 ports and a USB 3.0 port on the other side. On the back, we’ve got the wifi antenna, optical audio, composite A/V out, HDMI port and DC In. That composite A/V output will be fantastic for those with older TVs who would otherwise need to invest in a separate adapter. The included IR remote is the identical to HiMedia’s other remotes. 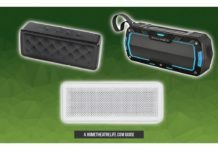 It’s a high quality device, with tactile buttons, a full set of Android functions and multimedia controls, in addition to a mouse mode and learning mode so you can control your TV or amplifier from the one remote. That said, I’d recommend picking up an air mouse for a better Android experience. 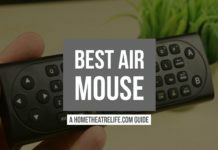 You can see my picks for the best Air Mouse here. 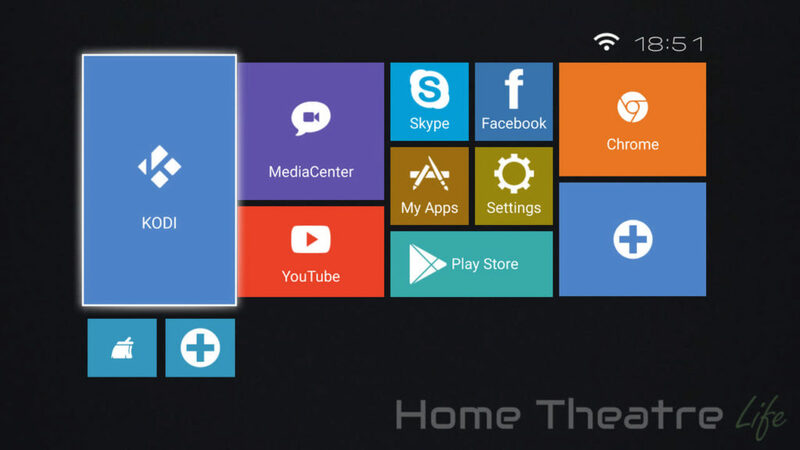 The HiMedia Q30 uses the same colorful launcher we’ve seen in their other Android TV boxes. It’s got large, colorful app tiles as well as a customisable row of shortcuts along the bottom. 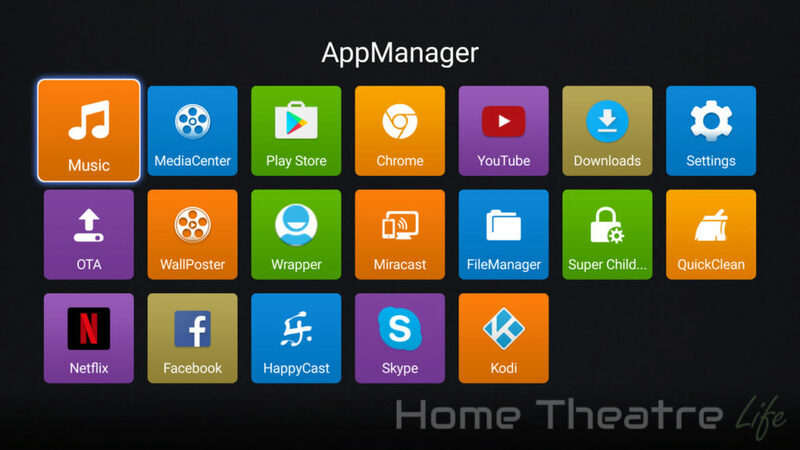 HiMedia have included apps like Netflix, Skype, HappyCast and Kodi. 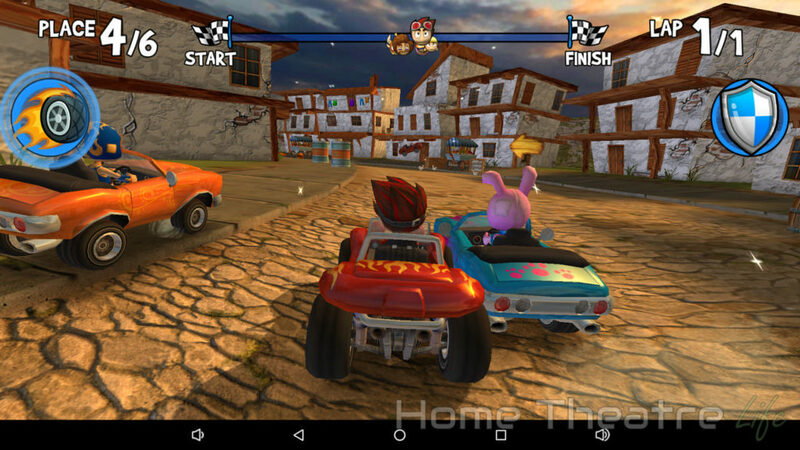 You can also use the Google Play store to install your favorite Android TV box apps and games. Root access isn’t available out of the box, though this won’t affect most users. I was glad to see that they’ve pre-installed the Kodi Wrapper App that will configure Kodi to use HiMedia’s media player for the best media experience. It makes the whole process so much easier. There’s also a built-in SAMBA server, allowing you to share your Q30’s storage using Microsoft’s protocol, though with only 8GB of onboard storage, it wasn’t particularly useful unless you added a large USB hard drive. 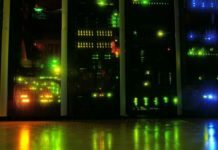 OTA updates are supported for easy firmware updates, with the company releasing several firmware updates adding new features and fixing bugs. 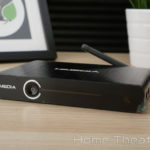 HiMedia are one of the better Android TV box manufacturers for support so I’m glad to see this continuing on their latest device. 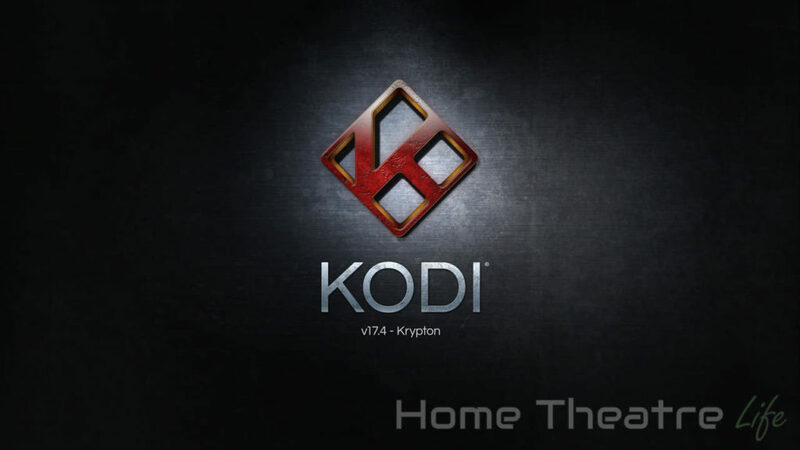 Video playback was tested using Kodi 17.4 downloaded from the Google Play store and configured using the HiMedia Wrapper as this is how the device is expected to be used. Kodi playback support was a mixed bag when using Kodi’s built-in media player. However, getting Kodi to use the internal player (via the Wrapper app) saw video playback greatly improve, with excellent playback of nearly everything I threw at it. Automatic framerate switching works but only when using the internal player in Kodi. This makes the HiMedia Q30 one of the best performing Android-based media players I’ve tested to date. HDMI audio passthrough only worked when using the built-in media player in Kodi (configured using the Wrapper app). 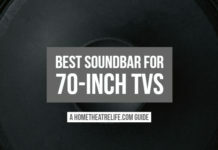 Otherwise, I had issues getting sound in stock Kodi. The HiMedia Q30 isn’t Netflix-certified so streaming videos are limited to 480p (DVD resolution). The device does support Widevine L1 however, so it should support HD Netflix in theory, though trying to install the Android TV version of Netflix just returns a “Device not Compatible” error. There’s no AirPlay app installed, though you can install something like AirPin Pro to enable AirPlay support. The HiMedia Q30’s Hisilicon SoC features a mult-core Mali-450 GPU which offers respectable gaming performance. Gaming performance was tested using using Crossy Road (Android) and Beach Buggy Racing (Android) using my GameSir G4S controller (read my review) via the 2.4GHz wireless adapter as Bluetooth isn’t supported. The HiMedia Q30’s gaming performance was good, with Crossy Road and Beach Buggy Racing playing great when maxed out. 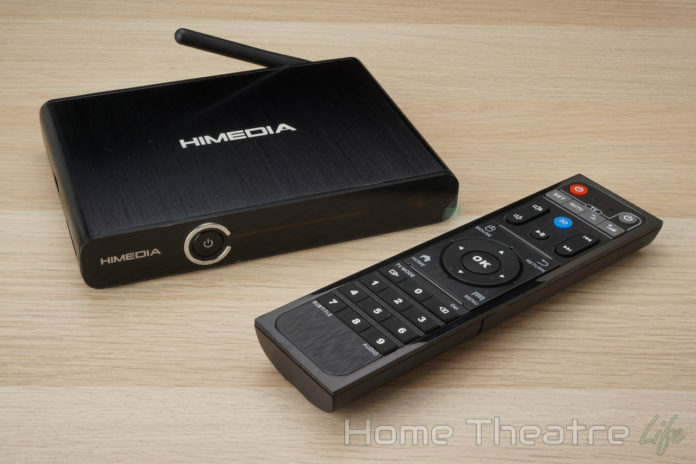 Should You Buy the HiMedia Q30? The HiMedia Q30 is a solid media player and follows HiMedia’s tradition of producing high quality Android devices. As long as you’re using the internal player with Kodi, media playback was exceptional, making the Q30 one of the best Android-based media streamers I’ve used. Whilst I was disappointed that HiMedia didn’t include Bluetooth and HD Netflix support isn’t explicitly supported, those wanting an excellent media player for Kodi should definitely consider buying the HiMedia Q30. The HiMedia Q30 is an excellent media player with support for automatic framerate switching and HD audio passthrough (as long as you're using the internal player), though the lack of Bluetooth is disappointing.